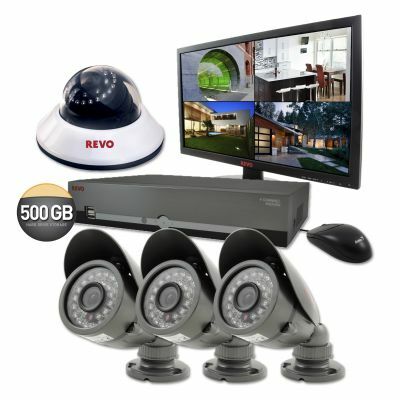 This Home Security Starter Kit System features a DVR with 500GB hard drive for storage and H.264 video compression with 3 super-high resolution cameras; 1 indoor dome camera and 2 bullet cameras built to operate in both indoor and outdoor applications. The 600 TV Lines of resolution provide sharp, clear pictures. 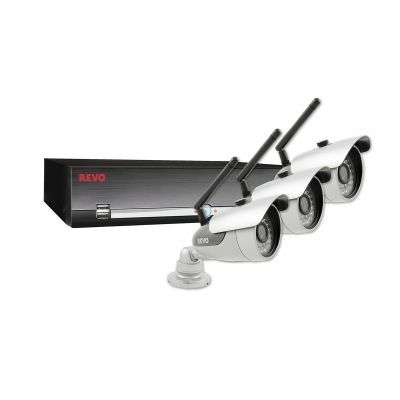 The weather resistant day/night bullet camera comes equipped with a mounting bracket, sun shield and 30 infrared LEDs providing powerful illumination of up to 80 feet in total darkness. The indoor dome also includes 30 infrared LEDs allowing it to see 80 feet in total darkness as well. Both camera types come complete with an all-in-one video/power/data/audio 60 ft. RJ12 cable and a 3.6 mm lens. 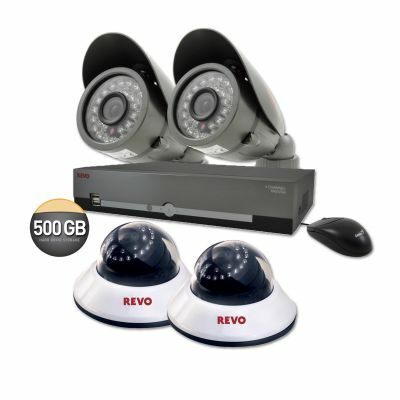 You'll never have to worry about how to get power to your cameras with the REVO DVR plug-and-play security system. Just connect them to the back of the DVR and you are ready! 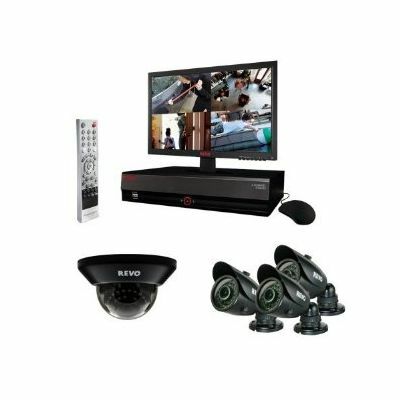 This professional cost effective and expandable system has an easy set-up wizard and is also fully networkable allowing you to remote view both live and recorded video over the internet, home/business network, or via you mobile phone. Advanced. Intelligent. Video Surveillance. REVO!